Messenger is a great app for connecting with friends, family and co-workers. It’s also a great place to meet new people and expand your business connections. However, there will be times when you need to get rid of your Facebook messages. It could be a sensitive picture, an uncomfortable video or just some chats you’d rather not have in the public domain. 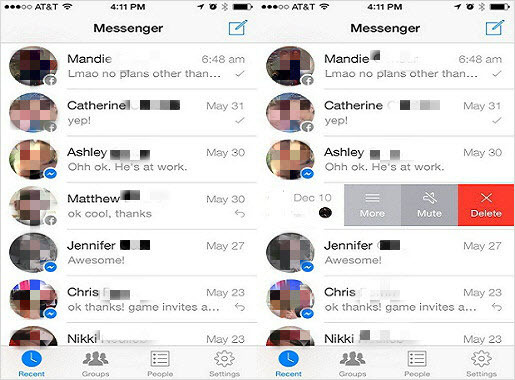 Any of these could make you want to delete message off Messenger. 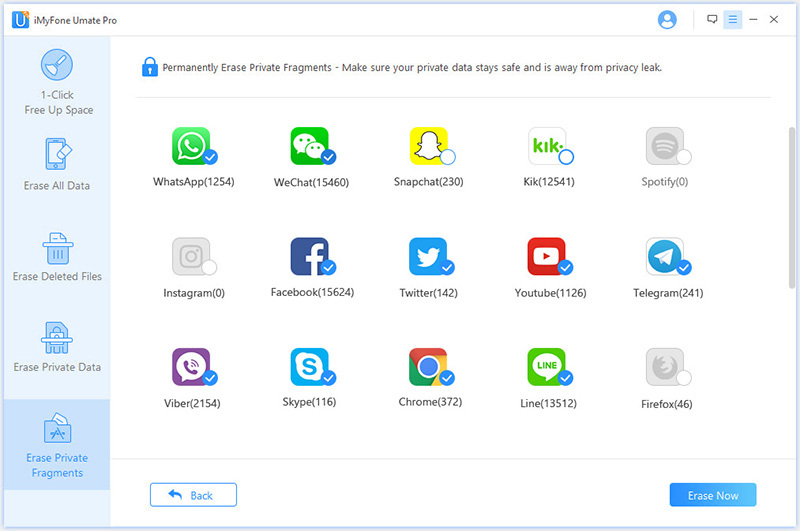 No matter why you’re doing it though, this article shares with you easy steps to delete whatever you want off Messenger on your iPhone, whenever you want. You generally have two options when you want to delete your Facebook chats. You can decide to delete a specific message or clear the entire history of your conversation with another person. In either case, you can follow these easy steps to delete the messages off your iPhone, no matter what iOS version you have on your device. Please note that when you select either option to delete chats, the messages will still remain in the history of the person you sent them to. 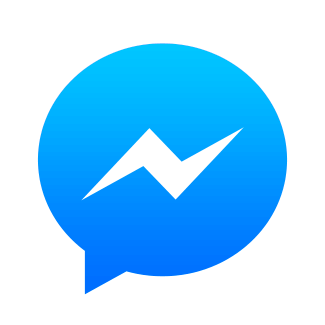 Launch the Messenger app from your iPhone. Open a conversation which you want to delete messages from. 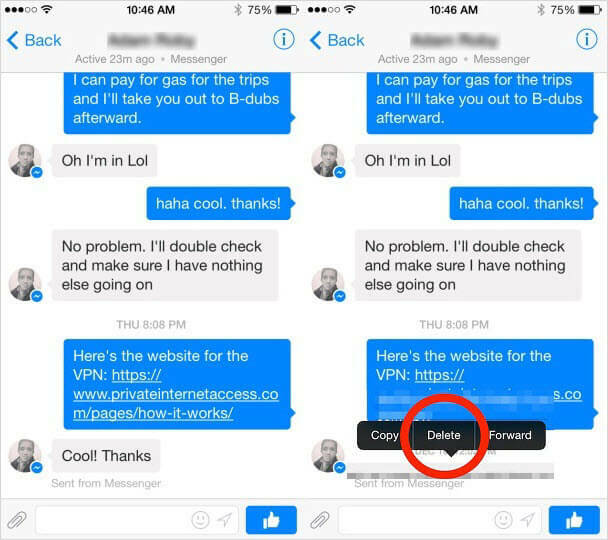 Scroll to and find the message you want to delete from your messenger. Tap and hold the message to bring up the pop up menu. Then tap “Delete”. This removes the specific message from your chat history. You can repeat for as many messages that you want to delete. Launch the Facebook Messenger app from your iPhone. Scroll to the conversation that you want to delete off your messenger. Swipe from right to left on the conversation you want to delete. This will bring out an option to delete. Tap “Delete” and the entire conversation history will be gone. The procedure to delete messages off your Facebook Messenger is quite easy and anybody can follow the easy steps. However, your concerns about the privacy of the messages don’t end at this point. Noe: If you’re familiar with Apple devices, you would know that any messages or data you delete is not 100% gone. It still remains recoverable in some form and anyone with sufficient knowledge can retrieve the messages. You can allay all your privacy fears with iMyFone Umate Pro. Umate Pro is the number iPhone cleaner and data eraser. It allows you get rid of messages, attachments, 3rd-party app fragments and other data you’d rather keep for your eyes only. And the best thing is once you delete them, they’re gone for good. iMyFone Umate Pro gives you 100% control over your own data. 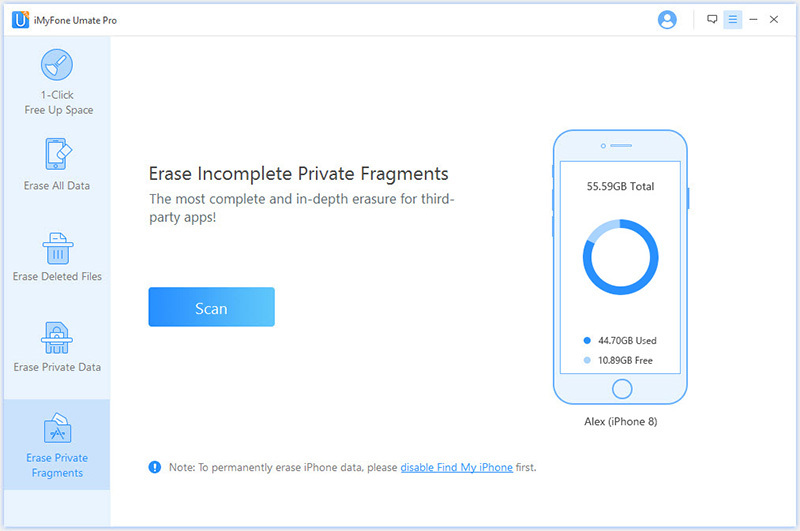 It has four great erasing features that allow you Erase All Data, Erase Deleted Files, Erase Private Data and Erase Private Fragments. Step 1: Launch iMyFone Umate Pro. You will be directed to the homepage. Then connect your Apple device to your PC. Step 2: You can pick from any one of four erasing options available on the Umate Pro homepage. Select “Erase Private Fragments” and click “Scan”. Step 3: When scanning finishes, it will show you how much private traces still remains on your iPhone for each apps. Check the apps you want to secure and click “Erase Now” button. Umate Pro gives you maximum control lover your data. Download the app and obtain access to powerful iPhone data cleaning and erasing action. You can feel relieved to try it because it has been tested and recommended by program review authorities, like getintopc.com, MacWorld, APPKED, etc.